Happy new year to all our green fingered friends. We hope that 2016 finished on a high for you all and that you’re looking forward to what the new beginnings of 2017 has to offer! Daffodils, spring lambs, longer days and the promise of new growth – just some of the things to look forward to in the coming months. Yes, we know it’s still dark and bl**dy cold out there but don’t dismay, start planning your lawn or paddock now as we’re only a few weeks away. The frost has been quite kind to us so far (with the worst still yet to come). It’s not been as mild as the last few winters but if your lawn or paddock is looking more of a battlefield than a green retreat, it’s time to dig in. Repairing it might not be a costly as you think and it’s all about timing. Clear away those dead leaves to ensure the grass underneath can breathe and catch any glimpse of sunlight. Although there isn’t much you can do at this stage in terms of mowing, fertislising or seeding, until the days are longer, now is a great time to get your lawn care plan tippity-top. We want you to own a lawn or paddock you can be proud of and make your neighbours green with envy so here’s a few tips to get you started. Determine the quality of your existing grass. What’s the plant density like? Is the ground well covered with no bald patches? If that’s the case – gold star! If not, don’t fret, you might need a little maintenance seeding to give your patch a boost. Make sure it’s weed free, especially from the likes of moss. Moss loves to grow in damp conditions and a few wet and cool days followed by a blast of sunshine during the winter will happily help this to grow like wildfire! It’s a lawn killer! So make it your New Year resolution to get out on those cold dry days to combat the weed! If it’s really bad, perhaps consider re-sowing your lawn. We have everything you need, from bespoke seed mixes and fertisliser to a whole new patch! Just ask our expert team if you are unsure. Don’t forget to plan your lawn care with your social calendar. Sound silly? 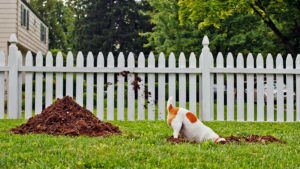 Well before you decide how to treat your lawn, make sure you take into consideration any plans such as Summer parties or perhaps a lucky family member got an adorable puppy for Christmas?! 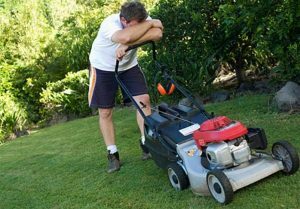 You might need a more hardwearing lawn than you think. Remember folks – Dogs are for life, not just for Christmas! Get a handle on those weeds! 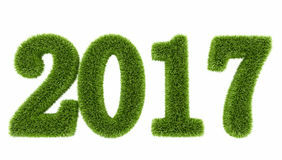 What is your lawn going to go through this year? Get seeding mid to late March for the best results. Don’t forget, our expert team are here to give you advice. We can even create a personalised time plan that’s best for your lawn! Talk to the team!